Huge Power of Solar Energy #Infographic ~ Visualistan '+g+"
Everybody talks about the sun and nonrenewable energy resources, but what do we know about the energy it produces? For example, do you know that the sun produces the same energy as about a trillion 1 megaton bombs every second? Solar panels not cause harm to the air, water, soil; but the price is high and for many it is the biggest disadvantage. 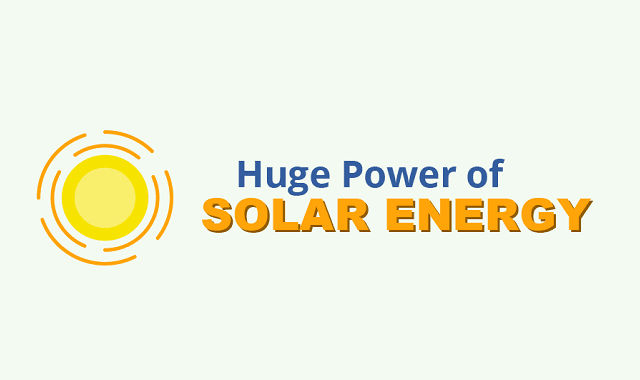 That is why so many people do not realize the advantages the solar power offers. The cells on your roof can help people stop air, soil pollution; moreover, the solar power helps save money as well. There are many reasons to go solar and install solar panels. Do you want to learn more? Have a look at this infographic!